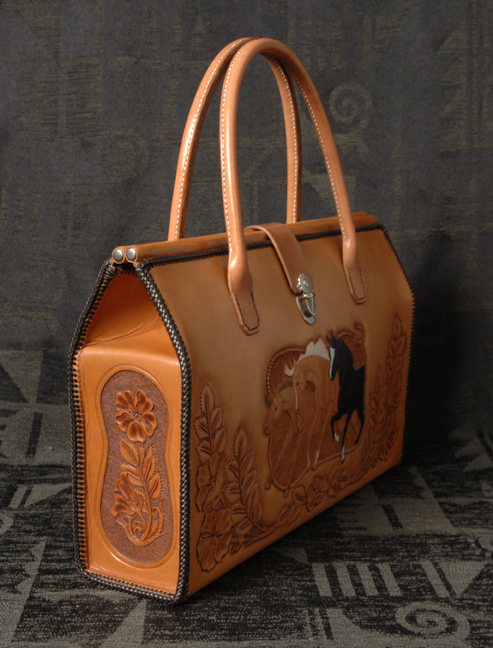 Three dynamic horses encased in a rope and wild roses adorn the front of this briefcase. The back has a flowing wild rose design. Side panels are also carved with a rose design. Metal rods covered with leather are attached at the top of case for strength and durability. Handles are handcrafted and double-needle hand sewn. Interior is completely leather lined and has one side pocket. Single, double, and triple loop leather lacing cover exterior edges. 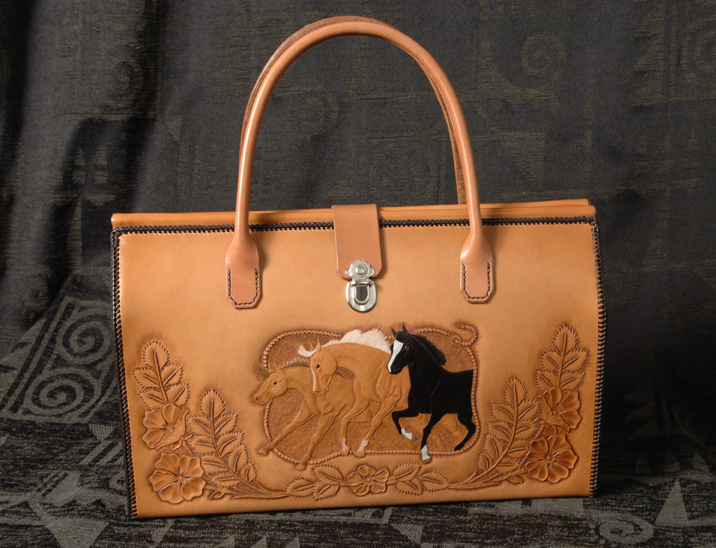 Copyright © 2015 Ross Custom Leather All Rights Reserved.